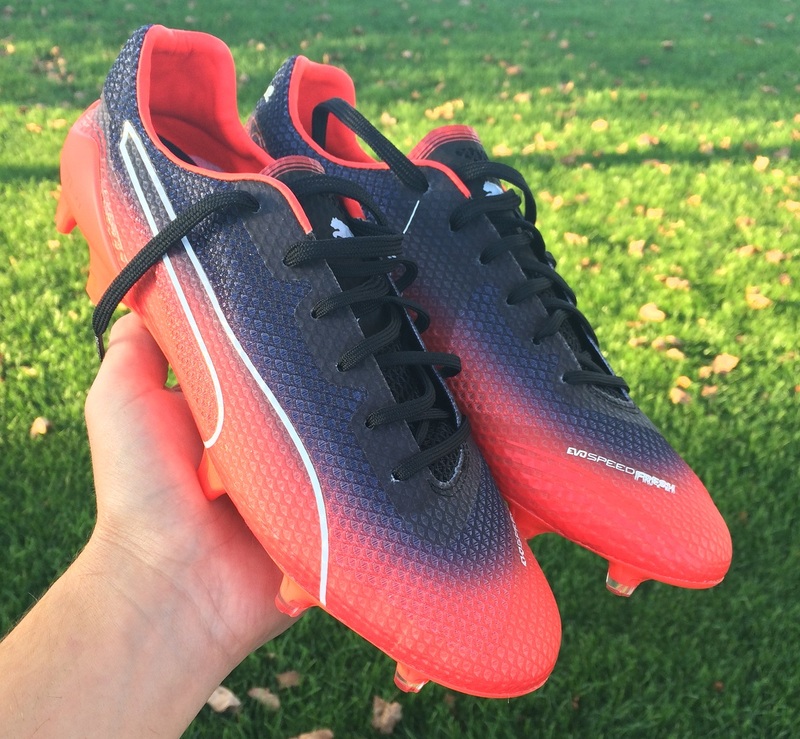 One of the most innovative boots released this year, the Puma evoSPEED Fresh is back in a distinctive new colorway. 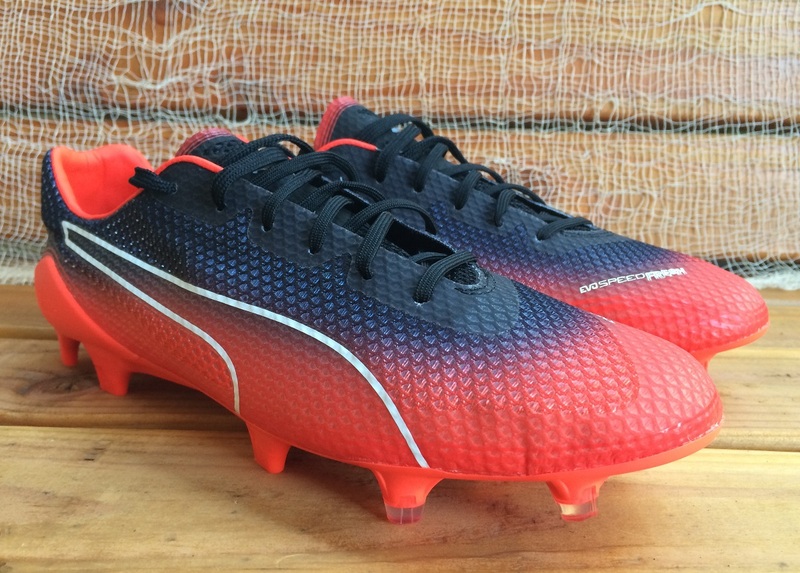 Puma list it as Red Blast/Puma Black, but the Black is actually more of a dark Navy Blue in person. 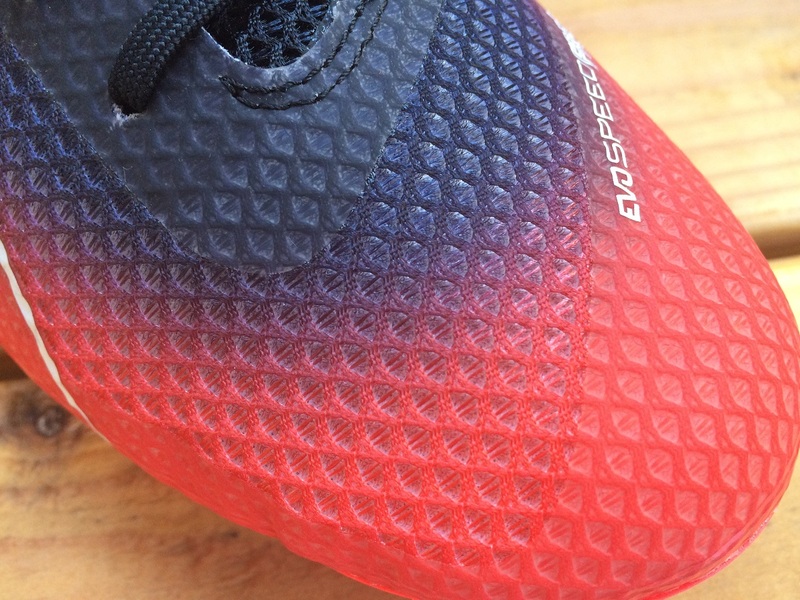 One of the features of the evoSPEED Fresh series is that unique transition between colors across the mesh upper, making them a very easily recognizable boot on pitch. 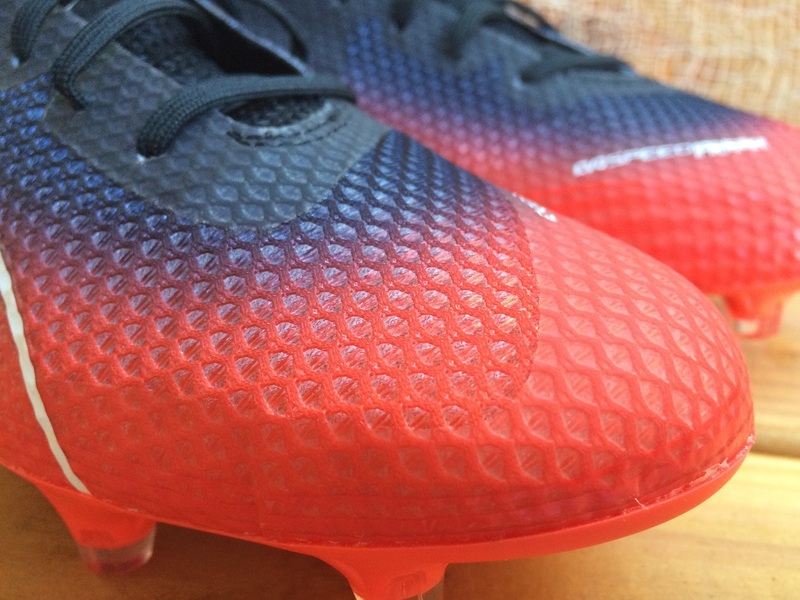 Built using an extremely breathable mesh upper, these boots have a direct focus on allowing heat to escape as you play in hot weather conditions. There are technically 3 layers across the upper. First on top of your boot is a super thin textile. On top of that is the mesh material that covers the entire upper, and then you get the reinforced coating. This coating is called the SUPPORTMESH, and it covers key areas of the upper including across the toes and through the instep. It plays a very important role in enhancing the durability of the micro thin material, holding the shape of the boots in place. 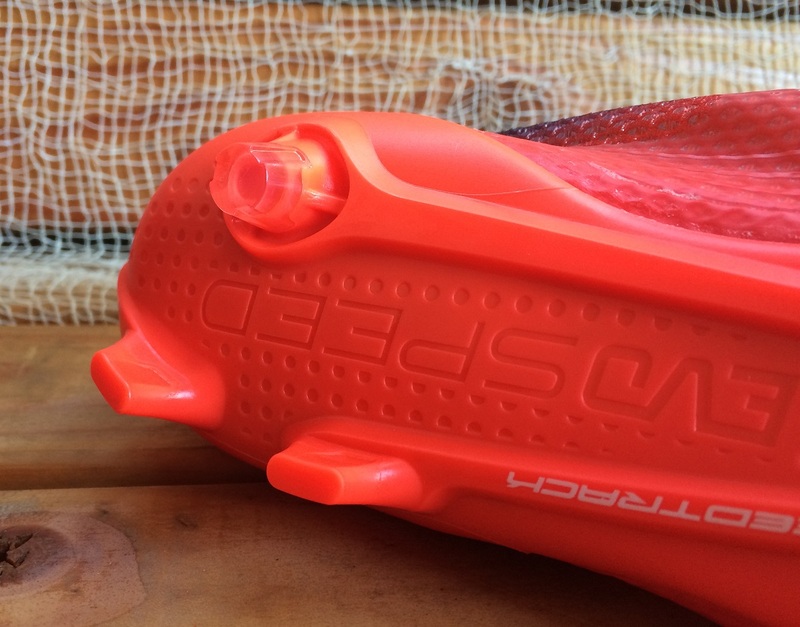 Being that they feature a mesh upper, don’t expect them to be an ideal shooting boot! You really do feel the full impact of the ball as you strike, and that is not a comfortable feeling if you are using a heavy ball. So, if you are after a power style boot, you should look elsewhere. The purpose of the silo is to provide extreme lightweight performance that is breathable, something they do very well. 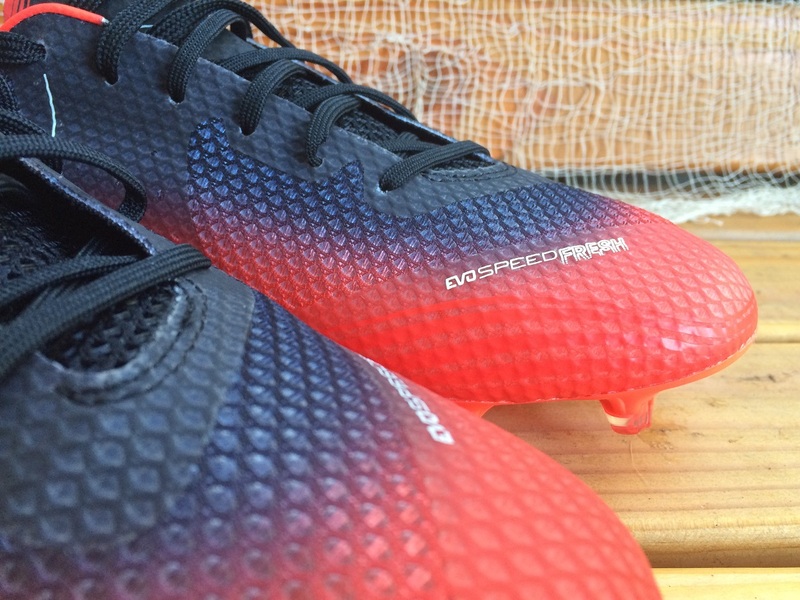 If you need more details on the evoSPEED Fresh, make sure to check our comprehensive review. But as far as performance go, there is something uniquely special about these boots. 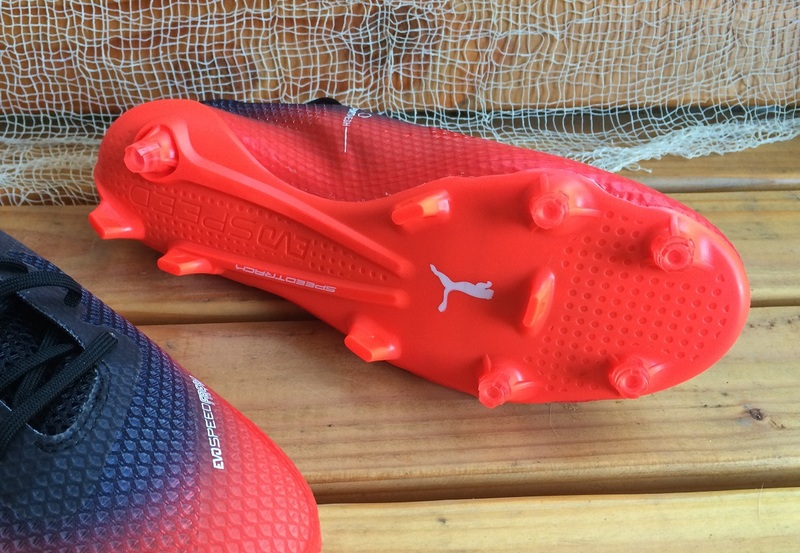 Something to note is that they are not directly intended for wear on turf, where durability becomes an issue. So, see these as a solid FG option that will be give you an extreme lightweight feel at a pretty decent price. Right now, you can pick up this colorway at soccer.com for only $134.99.